A rough terrain crane is the choice of many hardworking industries as it is capable for any jobsite. Unlike other cranes in its class, a rough terrain crane provides reliable service without compromising on power and security. 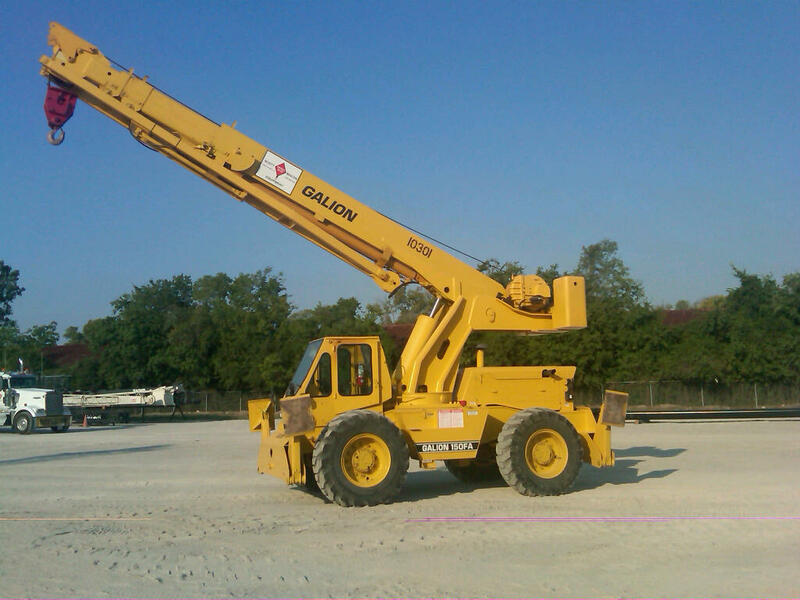 At Scott-Macon Equipment, we offer rough terrain cranes for rent or sale based on your needs. 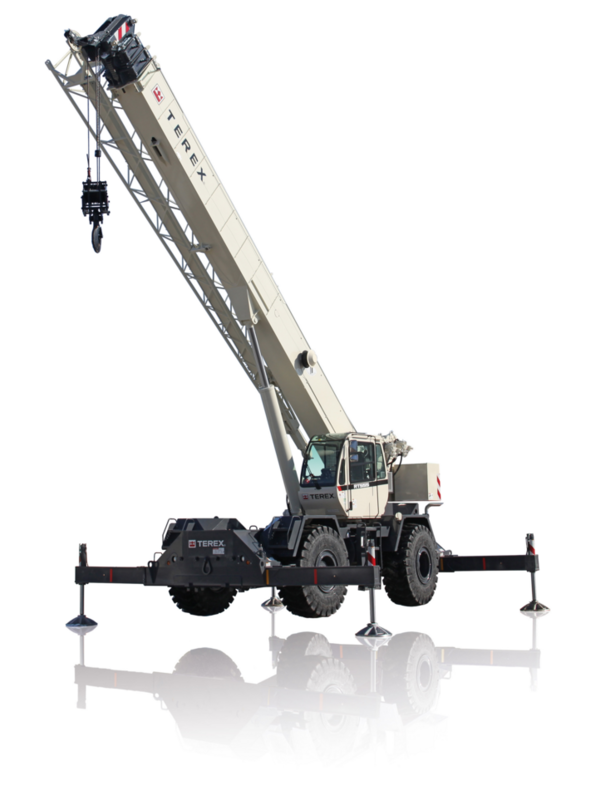 A number of design advantages make rough terrain cranes capable of maneuvering over surfaces and around obstacles that limit the movement of rubber-tire truck cranes and track hoe cranes. 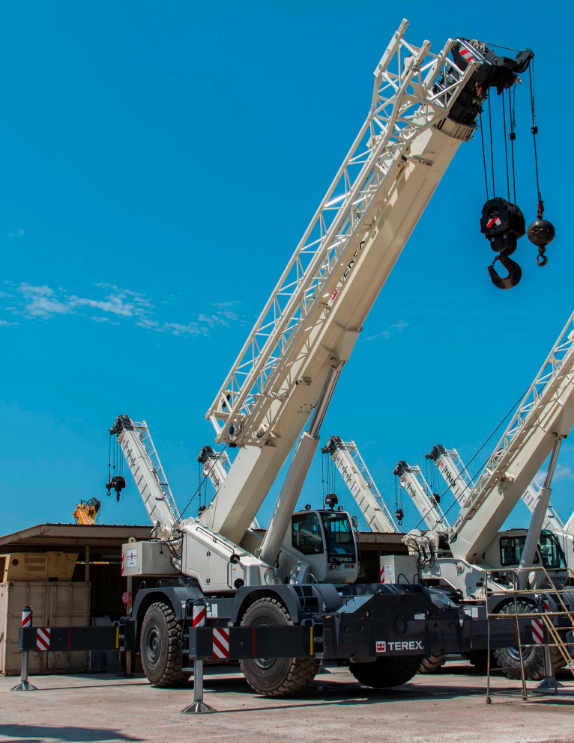 Rather than three or more axles -- like most rubber-tire truck cranes have, -- rough terrain cranes have two, hyper-sized axles. 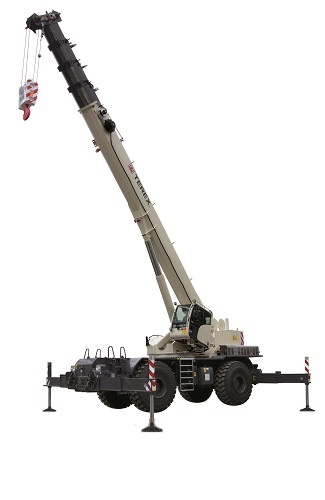 Both axles have a differential to propel the wheels which means rough terrain cranes are all-wheel drive. 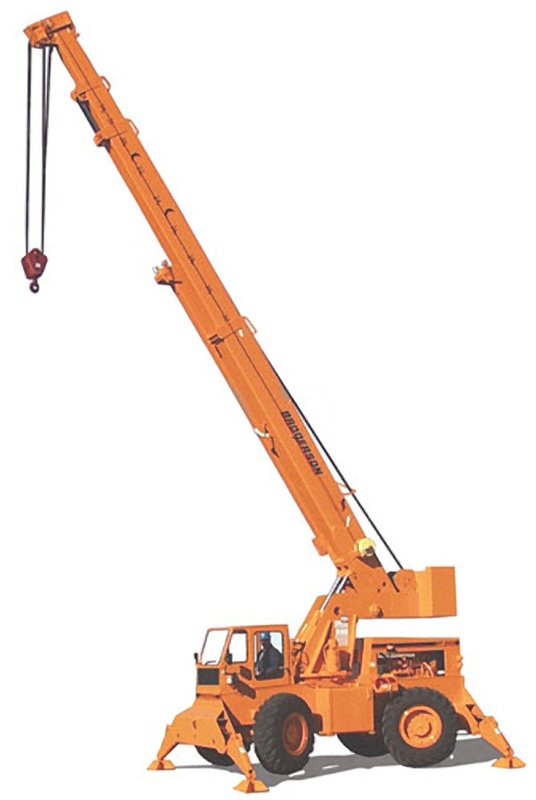 Rough terrain cranes also have over-sized tires which are significantly wider and larger in diameter than those found on a typical radial-tire truck crane. 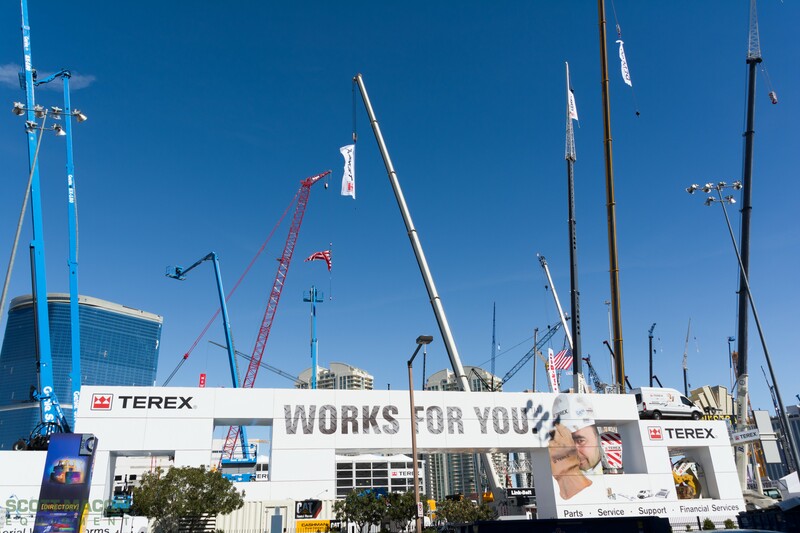 The Terex® RT555 rough terrain crane is the latest Terex® crane built for a wide range of applications across some of the world's toughest industries. The RT555 combines superior operational ease, serviceability, and performance to give industries a reliable rough terrain crane solution. 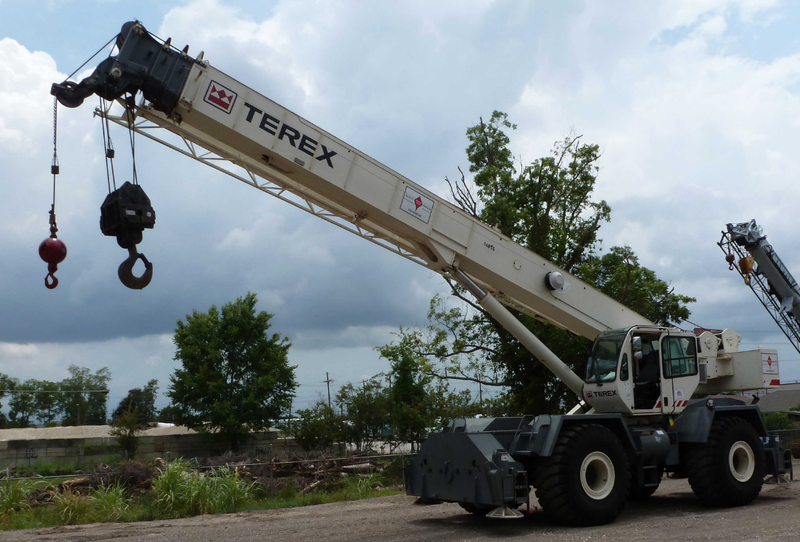 Whether you're looking for rough terrain cranes for rent or sale, the Terex® RT555 features advanced hydraulics with excellent ease-of-use and productivity. 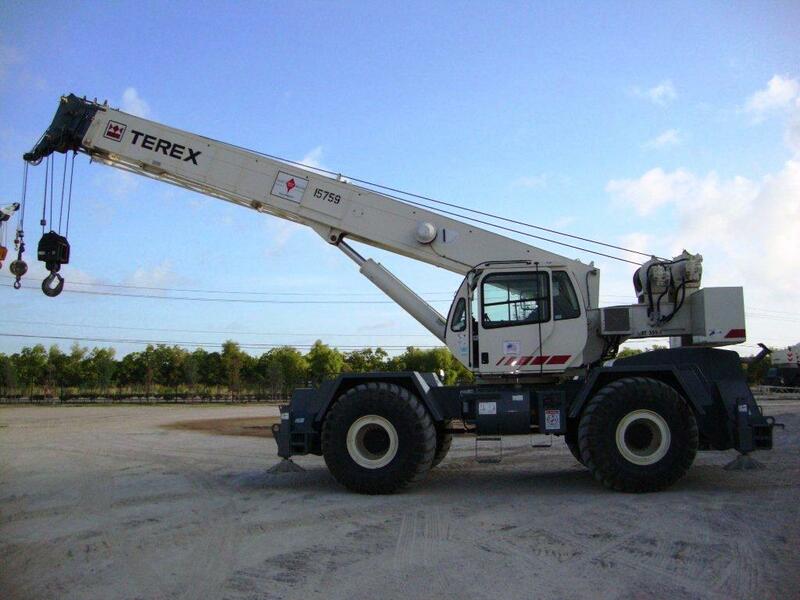 Scott-Macon Equipment provides a wide selection of Terex® rough terrain cranes for sale. 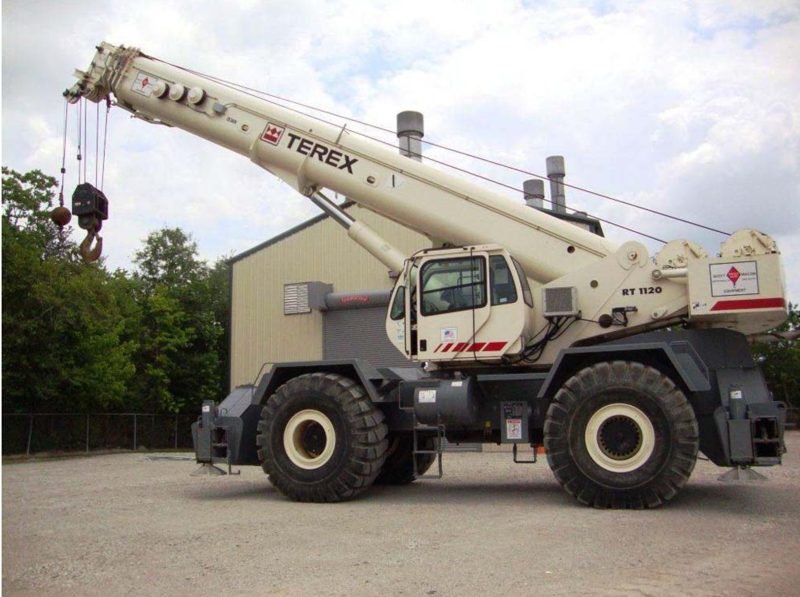 Additionally, we are an Authorized Parts Dealer for Terex® and other rough terrain cranes.